What happens when stakeholders from three educator preparation programs, the state education agency (SEA), local education agencies (LEAs), and the professional standards board come together at one table? For Kentucky, what happens is that changes occur in educator preparation and professional development with the goal of impacting teacher quality and student learning. Kentucky joined the Collaboration for Effective Educator Development, Accountability and Reform (CEEDAR) Center as an intensive state in 2016. In joining the Center, Kentucky made a renewed commitment to improving the quality of educator preparation in the state by ensuring that all teachers are skilled in high-leverage practices (HLPs) and the delivery of evidence-based practices (EBPs) for all students. 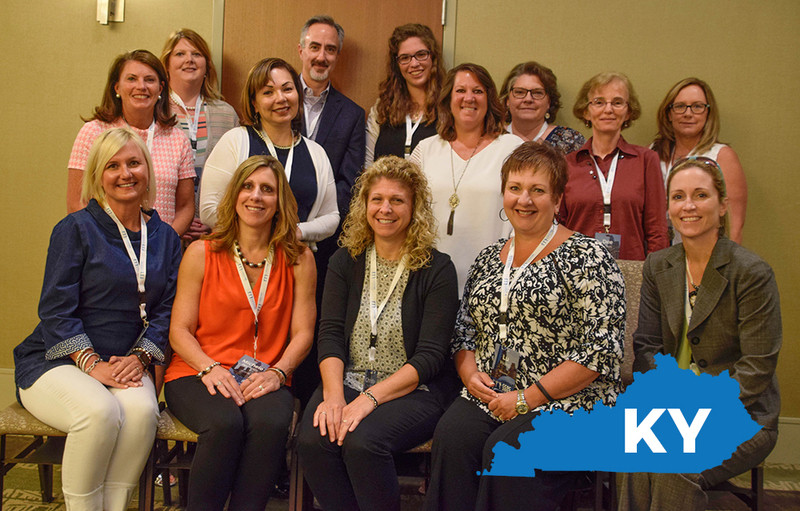 From the beginning, the Kentucky CEEDAR partners included the Kentucky Education Professional Standards Board; the Kentucky Department Education; and education faculty from the University of Kentucky (UK), University of Louisville (UofL), and Thomas More College. The partners represented general education, special education, and education leadership. The initial team partnered to develop the state’s initial blueprint, which outlined the team’s goals, objectives, and activities for completing the work. Understanding the need for broad stakeholder input, the CEEDAR team expanded to include partners from the Kentucky Council for Postsecondary Education, regional education cooperatives and local school districts, and Northern Kentucky University’s College of Education and Human Services to refine the blueprint for sustainability and ongoing improvement. “Through the work of the CEEDAR grant, we are strengthening our partnerships with institutes of higher education (IHEs) and the Education Professional Standards Board through a common goal of effective educator preparation and professional learning so that all students may be taught by an effective teacher and every school led by an effective leader,” said a key staff member of the Division of Learning Services, Kentucky Department of Education. The state leadership team and other invited partners convene twice a year at the Kentucky Educator Preparation Summit to work on the blueprint activities, evaluate progress, and plan for sustainability. These two-day summits have focused on scaling up HLPs statewide and building effective partnerships. The CEEDAR work is one of many important projects intended to improve educator preparation in Kentucky. As a result, the blueprint focuses on aligning existing statewide initiatives, such as the state professional development grant, to build a common set of goals and aspirations for teachers and leaders. The blueprint activities also focus on strengthening relationships among school districts and educator preparation programs so educators are continually supported in the use of HLPs and EBPs as they transition from pre-service to novice to master teacher. To support teachers, the CEEDAR work also focuses on preparing new principals and helping current principals promote and develop the use of HLPs in schools. Partnering educator preparation institutions are examining how current coursework incorporates HLPs and EBPs and are identifying opportunities for providing pre-service educators with more exposure to and practice in K-12 classrooms. “CEEDAR has provided our university with an opportunity to receive high-quality and research-based technical assistance (TA) to revise our educator preparation programs with a goal to improve outcomes for all learners. Through this work, we will ensure that our teachers and school leaders are well prepared and classroom ready,” said Ann E. Larson, Ph.D., Dean of the UofL College of Education and Human Development. Being an educator is tough—especially when you’re just starting out. By building on its collective expertise, Kentucky is strengthening its educator preparation programs to better equip teachers and leaders with the skills and knowledge to provide all students the instruction and support they deserve.